Moab was amazing!! 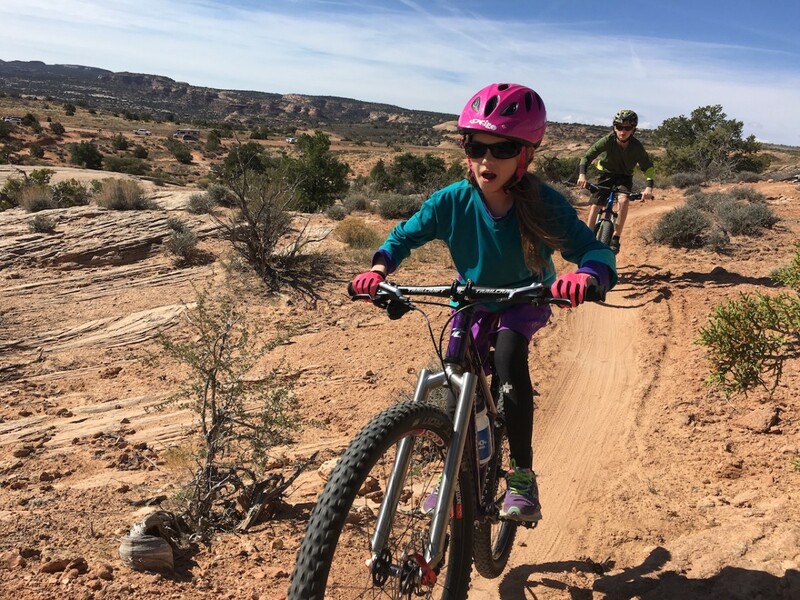 We explored some awesome new riding areas and trails that were a lot of fun and great riding for families and young riders. 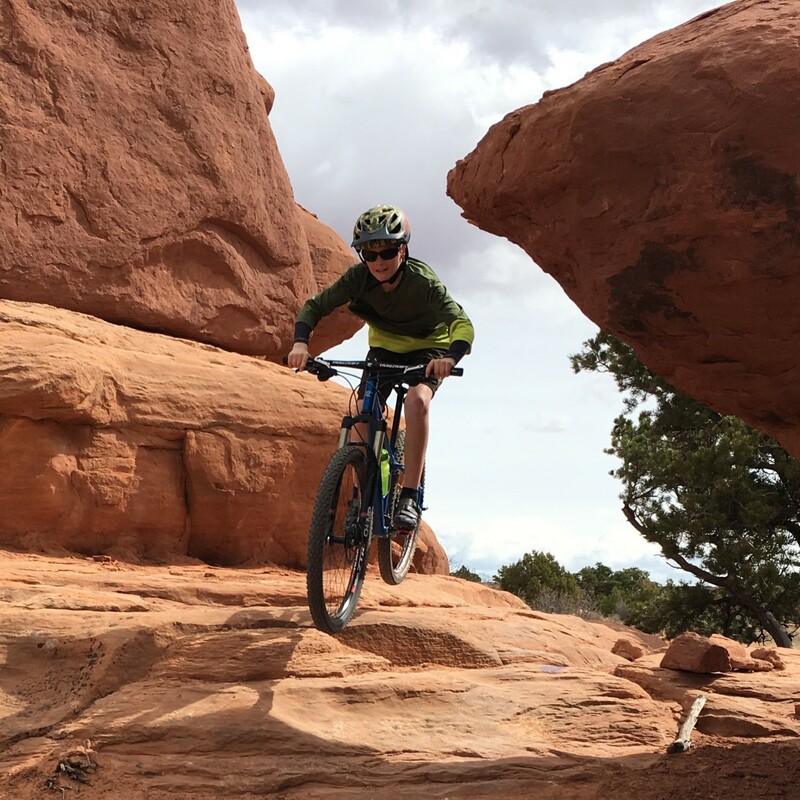 Here are a couple of our favorite riding areas and trails that we all rode together as a family. 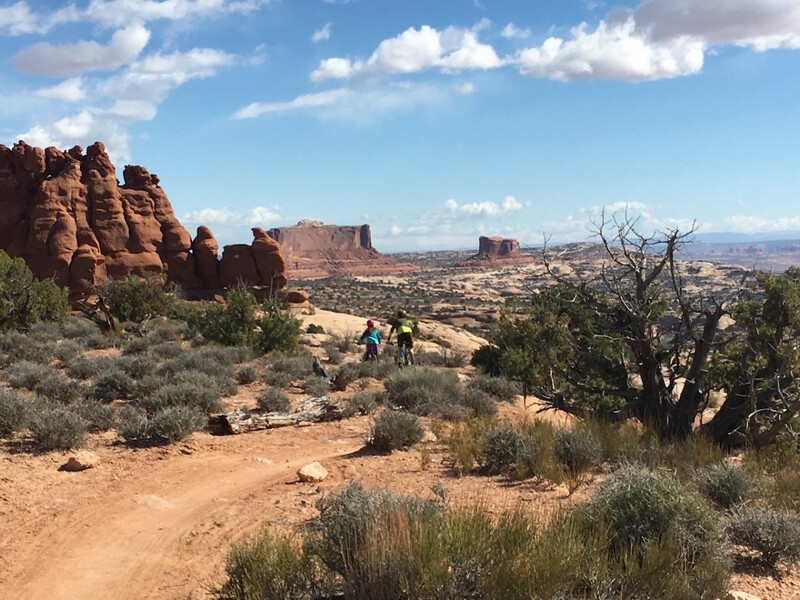 Navajo Rocks- This is a fairly new trail system and the area is gorgeous. There are several trails to choose from to make a loop or out and back depending on skill level. All have a lot of typical desert terrain including red rock and beautiful vistas. 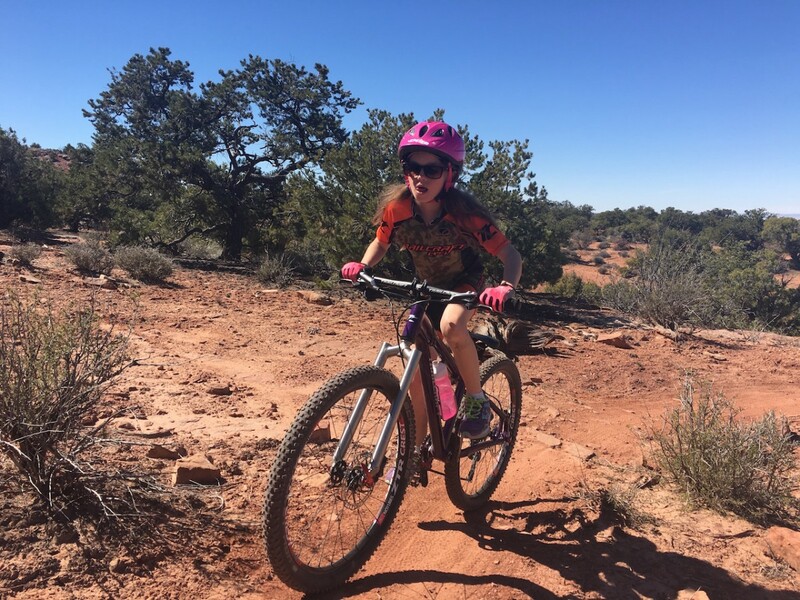 Our favorite trail and recommendation starts at Big Mesa and Ramblin' trailhead. 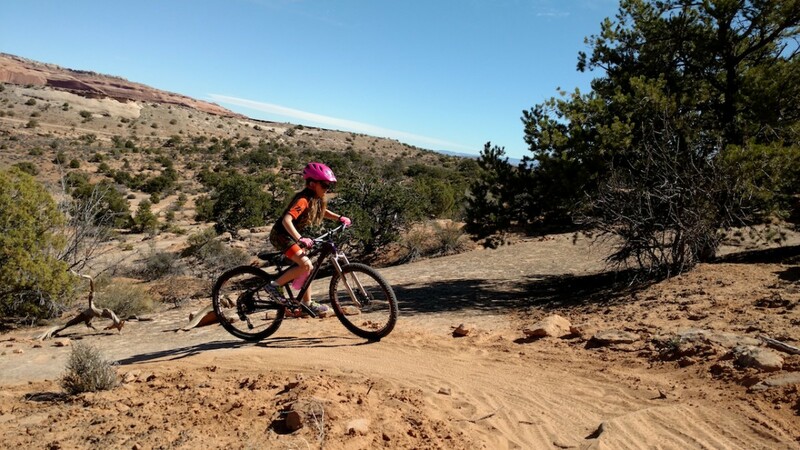 Big Mesa is long ride that involves nice flowing single track and long slick rock faces. The trails we rode and route is Big Mesa to Big Lonely (cross Hwy 313) Big Lonely turns into Coney Island, and Coney Island to Middle Earth. From here you can cross the back over Hwy 313 to the trailhead where you began. This ride is probably around 3 hours, so snacks/and or lunch is definitely a requirement. 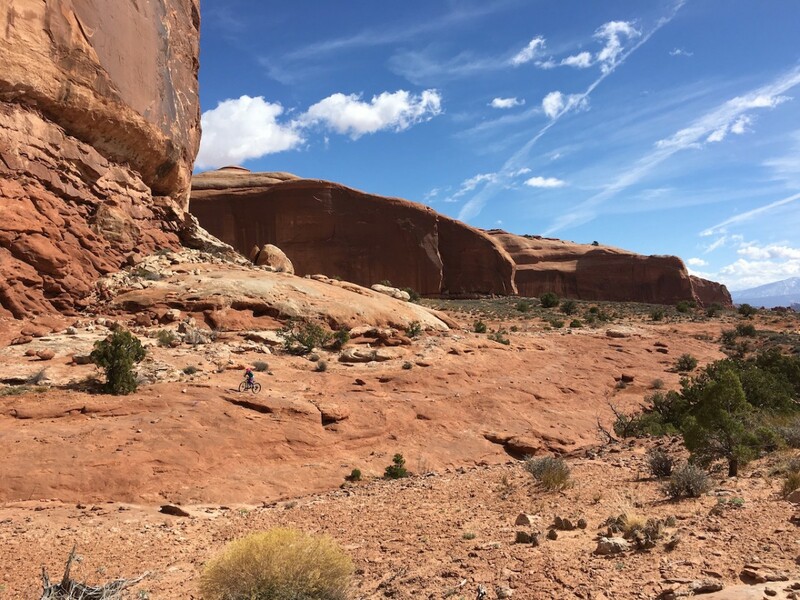 Horsethief Trails- This set of trails are just up the road from Navajo Rocks area on the south side of the road. The trails are all singletrack with some small small slickrock sections and beautiful open views of the Lasalle mountains. The route we chose is Getaway to 7-Up to Wildcat to Mustang loop. There is a slight down hill flow and then slight up hill on the return to the trailhead. 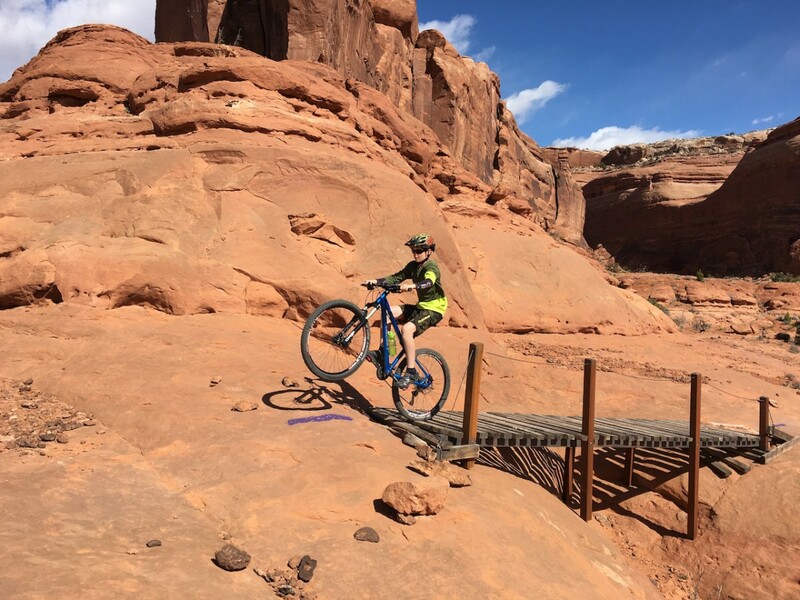 This ride is also long and good snacks breaks can be enjoyed looking out over the amazing Moab area desert views. We found a couple of great maps of each of these area at Poison Spider in town for two dollars each and found them to be very helpful. 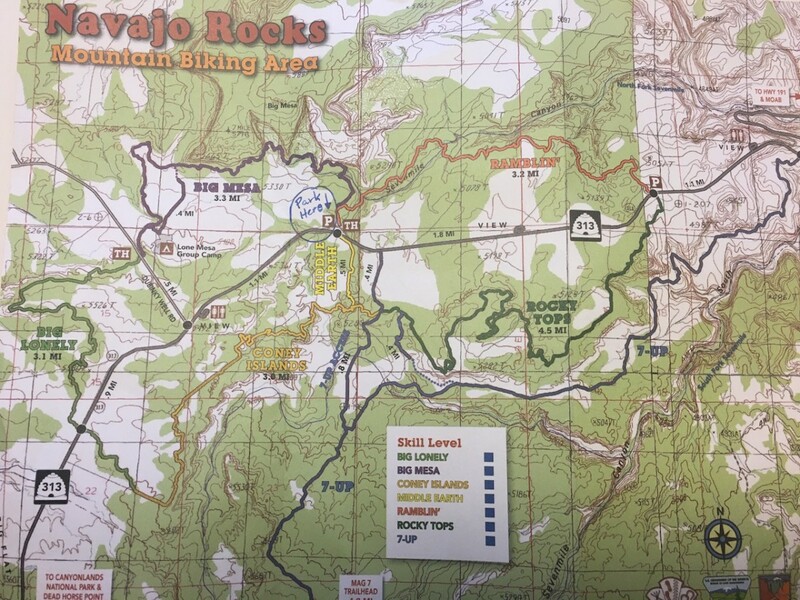 Ask for "Horsethief Trails" and "Navajo Rocks" mountain bike area trail maps. Purchase of these maps directly helps fund maintenance of the very trails you will be riding. Have fun on the trails this spring!